How to cut off parts of text by an object in Illustrator? I have drawn a rectangle. I have written some text. I positioned the text over the rectangle, so that parts of the text are inside of the rectangle, parts of it are outside. What I now want to achieve is to cut off every part of the text that is outside the rectangle. Please note that I do not want to subtract the text from the rectangle - the text (at least the part which is inside) shall still be there. Create text, create the rectangle. Then do the following: select both, go to object -> clipping mask -> make. It does not matter what the box looks like. This should give you the text that was "underneath" the box. Not the answer you're looking for? 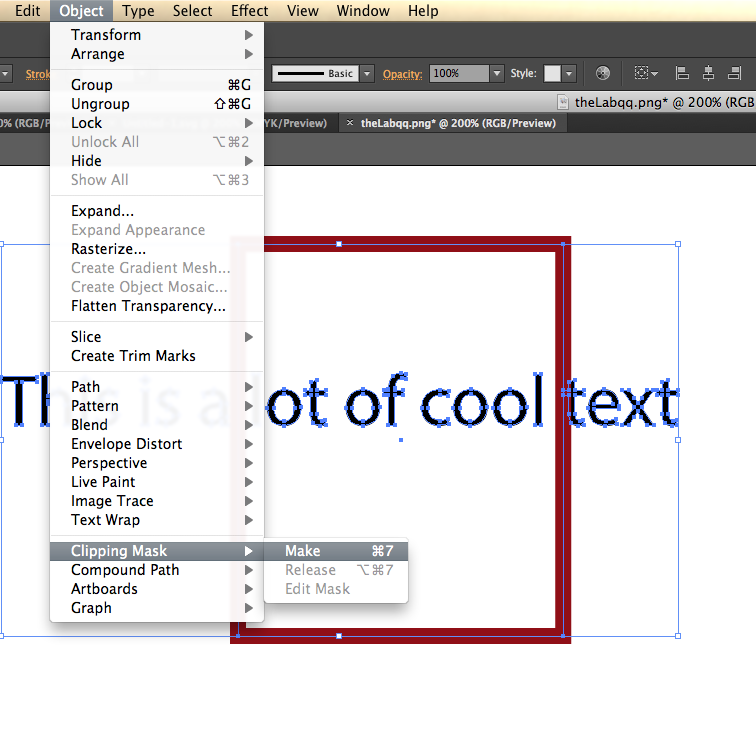 Browse other questions tagged adobe-illustrator text or ask your own question. How to subtract text from a shape in Adobe Illustrator? In Sketch 3 how can I delete the excess of a shape like in Adobe illustrator? How do I use the Pen tool to subtract from shape in Photoshop? Illustrator: How to split text in half? How to fix outer/inner glow glitch in Illustrator?